The Unruly Passions of Eugenie R.
Love and war converge in this lush, epic story of a young woman's struggle with life and love during and after the Second Empire (1860-1871), an era that was absinthe-soaked, fueled by railway money and prostitution, and transformed by cataclysmic social upheaval. 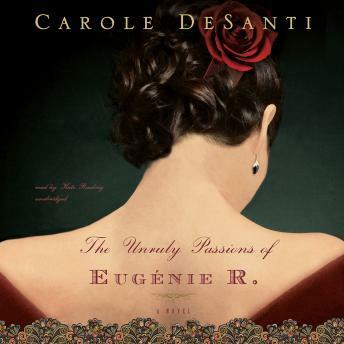 Eugenie R., born in foie gras country, follows the man she loves to Paris but soon finds herself marooned. An outcast, she charts the treacherous waters of sexual commerce on a journey through artists' ateliers and pawnshops, zinc bars and luxurious bordellos. Giving birth to a daughter she is forced to abandon, Eugenie spends the next ten years fighting to get her back, falling in love along the way with an artist, a woman, and a revolutionary. Then, as the gates of the city close on the eve of the Siege of Paris, Eugenie comes face to face with her past. Drawn into a net of desire and need, promises and lies, she must make a choice and find her way to a life that she can call her own. The Unruly Passions of Eugenie R. is a testament to the power of love, friendship, and the art of self-creation. Unruly Passions of Eugenie R.